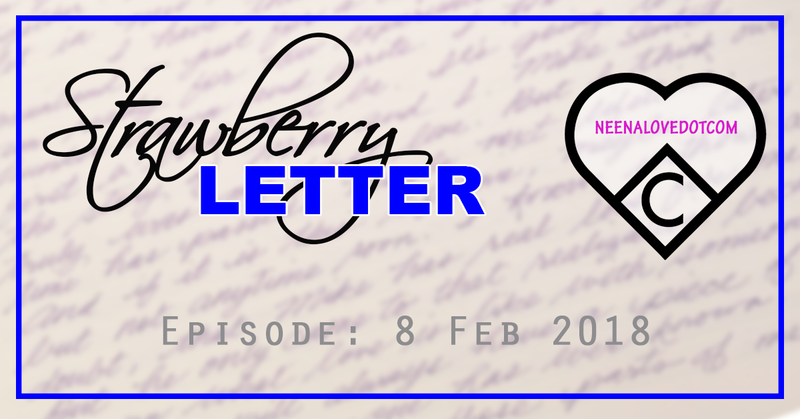 Thursday, February 8, 2018 episode of Strawberry Letter on The Steve Harvey Morning Radio Show was "I Think My Mom is a Side Piece." A woman writes in saying that her mother has been in a relationship for 10 years with a man and has never met his children in all those years. The man has attended family functions with the woman's mother and is very generous with gifts for the family but he has never taken her to meet his children. The woman who writes in seems to think that her mother is having an affair with a married man. Steve Harvey and the rest of the panel agrees with the woman's assessment. Tommy the show co-host asks, "What does the children have to do with their relationship?" The woman who wrote in says that her mother gets upset when she brings up the obvious issue -- that the man is married and mama is just a side piece. However, the woman's mother and that man have been carrying on in this way for ten years. The assumption is that mom is "settling" for less than what she deserves. The moral and upright thing to do is to leave the married man alone. Of course that's the simple answer but that isn't the path that the mom has selected. She is obviously enjoying whatever it is that she has with her beau. Since I have found myself single at the ripe age of 42 years, I can almost relate to what the mom is doing in that she is having a convenient relationship that serves her needs. She gets all the benefits of "having" a man without the commitment of marriage. She's not worried about the domestic duties that come within a marriage relationship. She's not rushing home to cook for her family, not cleaning up after a grown man, not doing laundry, not asking for permission to do things, not having to share her money, etc. Aside from him being a married man, I can see nothing wrong with this arrangement. Having been married for all of my adult life, I have become very jaded with the idea of marriage. I put in so much work, so much of my heart into two failed marriages. I feel ALL THE WAY done with marriage. Don't get me wrong though, I love being in love but I don't have to be married to be in love. Prior to getting married, first husband and I had a very long courtship. From the time we met to when we got married was just about three years. We separated after four years then divorced two years later. He was my first love. After signing divorce papers, I met my second husband. From the time he and I met to the time we got married was just over seven months. Just shy of 13 years, he woke up one morning and told me he wanted a divorce. I explain this only to say that there is no magic formula. The length of courtship is not an indicator of a successful marriage. I also explain this to say that a marriage is a partnership that requires two dedicated people, committed to making it work through the ups and downs. Falling in love is easy. Staying in love is the tough part. Steve's conclusion is that the mom will NEVER meet Mr. Right while she's dating Mr. Wrong. I can certainly understand that. I cannot say when or why I fall for a certain type of man. I just always follow my heart and my feelings and see it through to wherever it might go. My closest friends chime in that I fall for "project men" implying that I like a man that's a little rough around the edges. They need a little work to, according to them, become worthy of me. I can't call it. I love who I love. Certainly physical attraction is always the first thing that draws me in and that is probably the only common trait across my love interests. I don't normally listen to The Big DM on my commute to work but a dear friend texted me and said I need to listen in. She felt that there were some common themes with Strawberry Letter and my current love interest. Certainly, whatever he and I have is a little complicated and yet at the heart of it are two people that care about each other. I cannot say why he likes me but I can certainly gush about how I feel about him. And at the end of the day, we are two people with various life experiences. Why the stars saw fit for us to be together at this moment in time is yet to be determined. I see him, with all his complications, and I still choose to be in it. I know what I'm signing up for by being with him and today, I still choose to feel the way I feel about him. My life is much simpler and perhaps that is part of his attraction to me. I can't call it. People observing our relationship think he's all wrong for me. He is the Mr. Wrong preventing me from meeting Mr. Right, as Steve Harvey put it. But what does Mr. Right look like for me? When I spoke to my father about my current love interest, his only question to me was, "Is he nice to you?" Emphatically, he is very nice to me and I get butterflies in my belly when I think of him. There is no pain associated with him; no broken hearts to speak of. When we're together we laugh without any pretense and truly enjoy each other's company. I have longed to feel that happiness for a long time. The simplicity of my father's question made it very simple for me to decide to continue on in spite of the complications of a relationship with my love interest because he is nice to me and he makes me smile. I feel like a teenager all over again - the raging hormones and the puppy love feeling even though we have progressed beyond that phase, I still feel it and I want to hold on to that feeling for as long as I can.